Those of you who are intimately familiar with Addis Abeba, my home town, know all about Somale Tera. It is primarily a place where you can buy spare parts at rock bottom prices. It was (when I was growing up) also a place where stolen cars were surgically dismantled, and parts thereof sold in the open market. Somale Tera used to be where victims of automobile theft first searched for their stolen cars; before it was too late that is. The dismembered terrorist CUD is bound for Somale Tera too. In my opinion, CUD under the leadership of convicted felon Eng. Hailu Shawel et al is worthless. When I was in Secondary School, a required English class reading was a marvelous book titled “The Vicar of Wakefield” by Oliver Goldsmith. In the first chapter of the book, in response to a neighbor’s admiration of the Primrose children’s beauty, Mrs. Primrose answered: "They are as heaven made them, handsome enough, if they be good enough; for handsome is that handsome does." By the same token Diaspora CUD is as ugly as its recent action towards the Ethiopian people. Case in point is the recent HR 2003, for which Diaspora CUD lobbied, with the sole purpose to stifle the aspirations of the Ethiopian people. Indeed, to coin Mrs. Primrose’s quote as it applies to Diaspora CUD: “Ugly is that ugly does”. As I see it, the present CUD as a viable “opposition” is dead and buried. It has become nothing but another terrorist group. 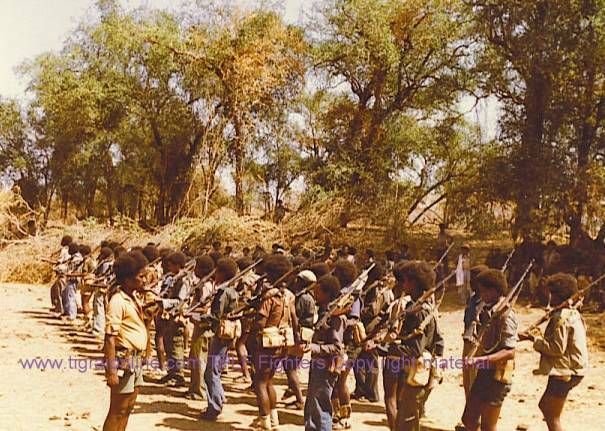 Indeed CUD has aligned itself with OLF, ONLF, UIC and PFDJ; all of whom are sworn enemies of Ethiopia. Therefore, the EPRDF government has an obligation and legitimate right, to scrutinize and pursue Ethiopia’s “enemies” aggressively in order to protect the National Security of Ethiopia; with or without the partnership of USA in the war against terrorism. I hope and pray that HR 2003 will fail in its successful passage into law; which will only embolden al-Qaeda in its effort to spread terrorism in Africa and beyond, and thus also pose a threat to US National Security. Perhaps the only chance that CUD may have for survival as a viable opposition party is by re-structuring itself from the ground up; under fresh and progressive leadership, with fresh ideas for the improvement of the lives of the Ethiopian people. Retaining allegiance to DERG operatives like ex-Minister of Agriculture Eng. Hailu Shawel and the remaining convicts (Pardons Backfire) is both repugnant and nauseating.